Early next year, the Construction Workplace Misclassification Act goes into effect. Signed in October, 2010, this legislation provides criteria for classifying a person as an independent contractor (versus an employee) in the construction industry. If you operate a business in the construction industry, you need to get prepared. Otherwise, you may be looking at fines and jail time. On NJ juries, Google, and Facebook. New Jersey has lots of these. What could possibly beat a New Jersey jug handle? Anything really. But will you settle for three short items involving social media and the courtroom? If so, hit the jump. If not, here’s a Wikipedia post about the history of jug handles. Unions are using social media to organize YOUR workforce. Even without theNational Labor Relations Board may decide cases in a way that enhances the union’s ability to organize a workforce. The the Board may also place additional limits on employer speech rights and attempt to give union organizers access to an employer’s workplace. Hi, PA, NJ, and DE employers. Meet GINA. 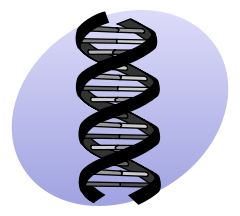 Title II of the Genetic Information Nondiscrimination Act of 2008 (GINA), which prohibits genetic information discrimination in employment, took effect on November 21, 2009. Nearly a year later, the EEOC published the final GINA regulations. How does this law affect employers? I’ll break it down for you after the jump. FMLA Insights has a very timely post about how to calculate FMLA leave around the holidays. I’ll summarize it for you after the jump. According to a report from the Bureau of National Affairs, more employees than ever are filing complaints with the United States Equal Employment Opportunity Commission. The Equal Employment Opportunity Commission received a record 99,922 private sector discrimination charges in fiscal year 2010 but managed to keep its charge backlog almost unchanged at 86,338 pending charges, the commission reported today. In its annual performance and accountability report, EEOC said that during the fiscal year ending on Sept. 30, 2010, discrimination charges filed reached their highest level in the agency’s 45-year history. EEOC’s previous record was 95,402 charges received in FY 2008 and in FY 2009, 93,277 private sector charges were filed with the agency.